The scheme is over four blocks and includes 269 units of private sale, shared ownership and social housing, commercial/office, retail and creative industries uses, new public amenity spaces and a riverside walk delivered across two phases. RC Structure Revealed French style tunnel form reinforced concrete frame, party and external walls. Building Services Pipes, ducts, electrical distribution plus energy centre. 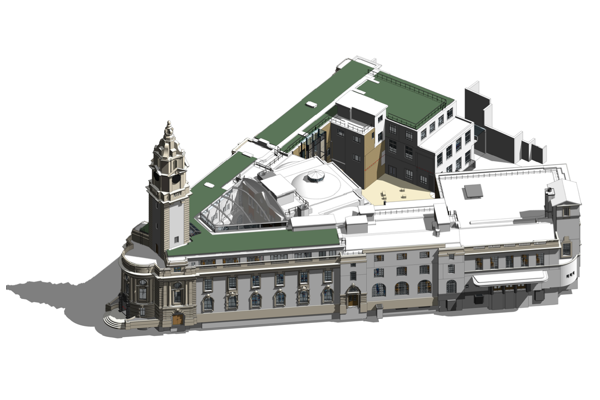 "This was the delivery team’s first experience of using BIM and Cartwright Pickard helped to make that transition very smooth. The scheme is currently averaging 0.5 snags per flat vs an average of 3-3.5 snags per flat." Deploi supported the team with an extended project launch and several months of intensive project support. Deploi built the initial building models before transitioning to a coaching, advisory, trouble shooting and QA role. 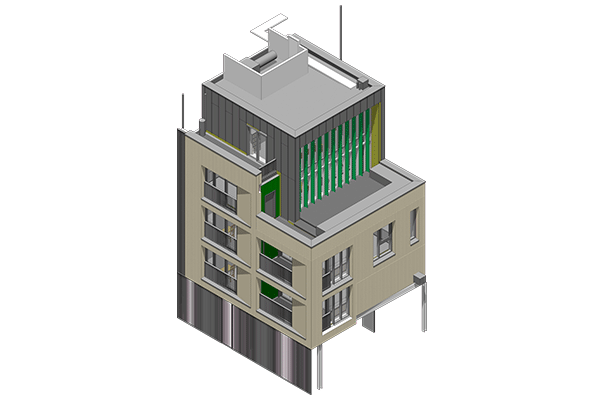 The models were launched from a version of the Deploi Revit Tempate file to accelerate launch and ensure consistency of approach.